This bubble concentrate comes from a secret family recipe that results in bigger, bouncier, and stronger bubbles. 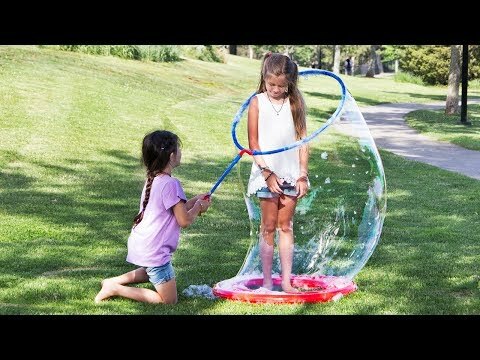 Add in a giant bubble wand and you’ve got happily entertained kids—and an altogether better bubble experience. 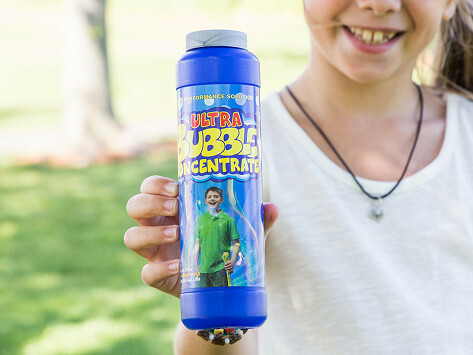 Dimensions: 2.5" x 2.5" x 8"
Super concentrated to last and makes beautiful bubbles. My 7 year old granddaughter was delighted. This was a disappointment. It didn't work any better than other quality bubbles. Back to making my own!